These days having Internet while we are traveling is almost as important as water and oxygen, at least for many of us. When I started full-time Airstream travel in 2005 having a cellular Internet “box” was a big deal and fairly rare. The one I was using cost about $2,500 and was about the size of two VHS tapes (remember those?) and when I went to the WBCCI International Rally in Springfield MO, everybody wanted to borrow it to check their email. Fortunately it was a loaner, because not long after you could get a tiny hotspot that did the same thing for about $79, and suddenly we all started getting them. Now almost anyone can use cellular networks for their Internet, just by turning on a hotspot feature on their phone. Of course, when Internet is free and easy you start to take it for granted, and then when it suddenly isn’t available it feels like a python has taken a grip to your neck. You know what I mean if you’ve ever pulled into a campground and found their wifi to be completely useless once everyone in the campground starts watching Netflix. Here’s your python—no more oxygen for you! It’s rare when the cellular network runs slowly. Usually I only find an overcrowded network in Borrego Springs, CA, where every winter hundreds of RVs park in and around the town. 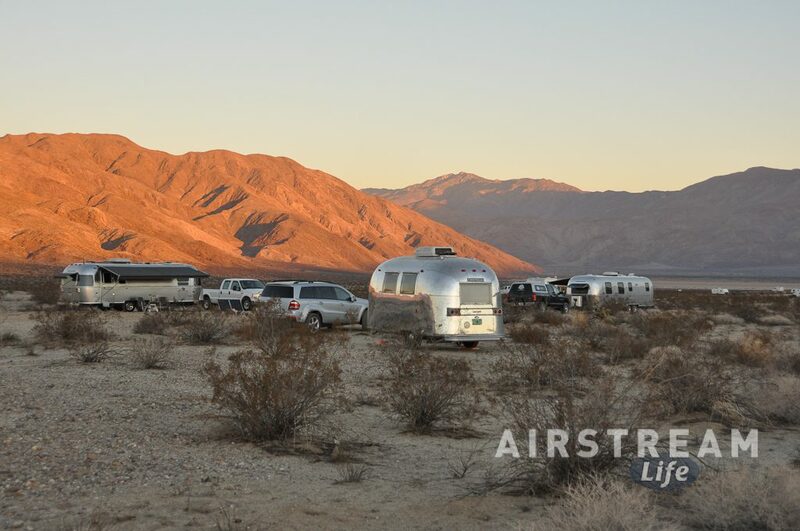 Many of them are part of the current craze of RV “technomads”, people who rely on having good Internet every day, all day, and in the past few seasons they have completely overwhelmed the capacity of the Borrego Springs cell towers. Far more often the problem is the reverse: instead of being overcrowded, we’re usually in a fringe reception area, competing with no one but struggling to pull a good signal into our Airstream. Obviously the aluminum shell of an Airstream trailer is not great for reception (nor is the metal of an Interstate or Base Camp) so in the past I’ve been forced to set up my laptop on a picnic table outside. Let me tell you, the fantasy image of blissfully working outdoors instead of a some cubicle is absolute nonsense. Either the sun is too bright to see the screen or there’s a threat of rain, often there are bugs flying around and taking nips, the breeze may come up and blow your papers away, or it’s too hot or too cold. 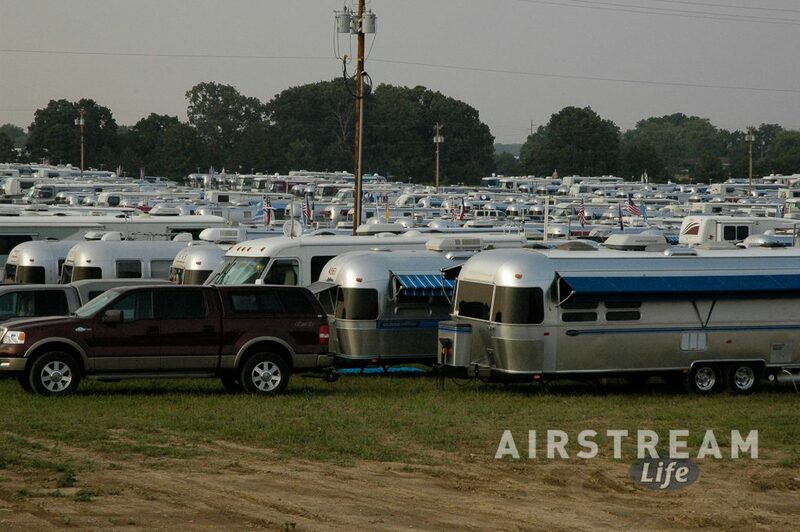 There’s a good reason officeworkers work in offices; it’s similar to why we camp in Airstreams instead of tents. So in the real world we need to have a way to get the signal into the Airstream, and there’s really only one practical way: an external antenna, paired with a signal booster. WeBoost (formerly Wilson) has cornered the market on signal boosters, and their product is good, so you’ll probably end up with one of those. But the antenna that comes with most of their kits is, shall we say, “less than optimal”. First of all it has a magnetic base, because it’s intended for cars and trucks. That’s not going to help on the aluminum roof of an Airstream. Second, to get the cable out you have to drill a hole in the Airstream roof, or poke it out through a window (a hole in the screen, of course) which looks awful and isn’t a good installation for the long haul. Third, there’s a reason they throw that particular antenna into the kit—it’s a cheap, so-so option. The best move is to permanently mount a good antenna on the roof. Yes, you’ll have to get over the fact that a hole must be drilled in the Airstream. 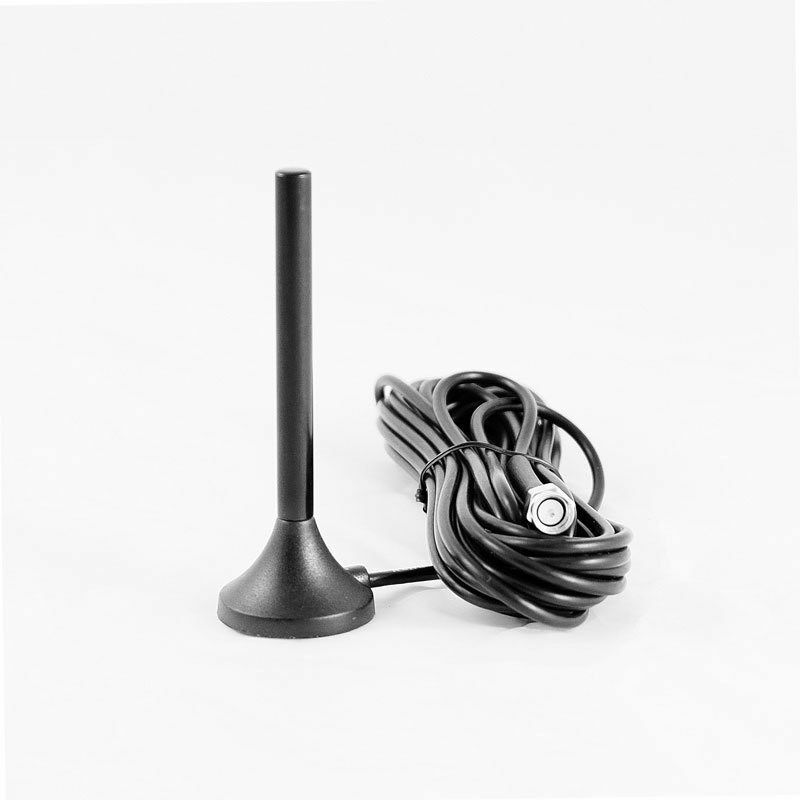 If you use the right antenna there won’t be any problem making the installation completely leak-proof. My feeling is that if you are going to drill a hole, do it once and install the best antenna you can find. 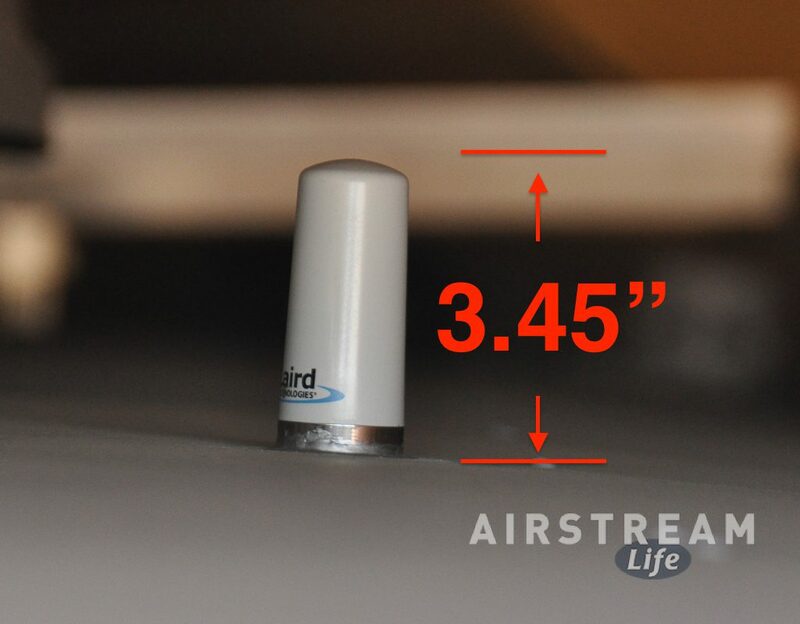 After evaluating many (including installing several types on the roof of my own Airstream over the past 12 years) I’ve settled on the Laird Phantom antenna. It’s just as effective as the big antennas (which run 19 to 24 inches tall), but it’s just under three and a half inches tall. It looks like an inverted shot glass, mounted directly to the roof. Because it’s white and matches the roof color, most people will never see it, which is nice because I don’t like having huge antennas on my roof that virtually announce to the world that I’ve got laptops inside. And, it’s so small it won’t catch on branches during those “tree trimming” exercises we seem to do occasionally. Another aspect I really like is that the Phantom antenna seals directly to the roof with a tight rubber gasket that prevents leaks. Nothing else is needed, but for a belt & suspenders approach I added a little sealant too. So it’s the last thing on my roof that I worry about leaking. That’s why we include a set of step-by-step instructions with the kit. The instructions show how anyone with moderate DIY skills can handle this job. Still, if you’re not comfortable with it you can always have the local Airstream dealer install it for you—or bring it to the factory sometime. It’s really not that hard; basically you just drill two holes and run the cable. The end result is great. Not only is the antenna nearly unnoticeable, but the cellular performance is greatly improved. You’ll get faster data speeds and be able to get online easily in places where the system would struggle before. You’ll quickly forget the trauma of drilling a hole, and you’ll enjoy the boost in performance for years.